Dust - ever present, impossible to exterminate, infinite in quantity - it's truly a despot of world proportions. You get rid of one batch, and within a few hours another batch has taken it's place. It settles, peacefully, laughing at your attempts to rid it from that unfortunately shiny piece of furniture that you deeply regret buying ever since you realised that it showed EVERY SPEC. You buy sprays which have a delaying action. The dust just bides its time, lurking in that stupid dust-catching roughcast paint that cheapskate landlords cover interior walls or within the folds of curtains. As soon as you go past, the waft of air dislodges the awaiting dust which, liberated, sails gently down to land on your furniture. Yet again. It's the inevitability of dust that makes it such a despot. You cannot get rid of it. Ever. Some people are slaves to it, finding the slightest speck unbearable, and rushing around with dusters and sprays attacking every surface with frightening frequency. Others decide to ignore it and wait for it to form little mats that can just be picked up and thrown away... or not. 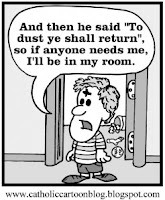 Dust is a world despot. It's found everywhere and in many forms - household dust, sand dust, asbestos dust, coal dust, and so on. If it's not a killer itself, it harbours asthma-inducing dust mites. Both children and adults wheeze and gasp for breath, bowing before it's dominance. However, that's really the only way of getting rid of dust, for me. Get someone else to do it. Otherwise... there's no escape. Ever! Having spent the last three years doing up the house and the last five months sanding my staircase every weekend I can safely say that dust is the number one enemy in this house. I have been plagued with fine layers of plaster dust, paint dust and wood dust every day no matter how much I clean. I think we are also eating dust because I can't keep the kitchen clean of it! I thought we had finished with dust when we had finished with building work, sanding floors, and all the horrors associated therewith. Dust has not finished with me...just like every other house I have had in France it seems to fall from heaven. Hefty DIY and dust go together like hard water and lime-scale. I've had my fill of house building and decorating and don't want to go down that road again! As for spiders, they are worse than bloody rabbits! I gave mine warning to evacuate the premises then hoovered up those that hadn't quit. Spiders are not renowned for their intelligence. I choose to ignore dust unless I'm expecting visitors, and even then I only do the bits that show. After all, it isn't worth doing 'til the family will notice you've done it! Good point, hausfrau. My boys never notice the presence or absence of dust. Or if they do notice, they keep schtum because they guess I'll tell them to get the duster out if they make a cheeky remark.